Inspired by the soft curvature and minimalist trademark of champagne flutes, Studio DUNN’s Flute pendant with Links is an elegant and stylish addition to any type of space. The studio’s metalworkers employ the ancient technique of metal spinning to custom make the namesake piece of the flute pendant, which mimics the gentle curves of a champagne flute. Plated finishes and metallic details reference a mid-century modern aesthetic. A linking drop rod system creates a delicate, jewellery-like effect. 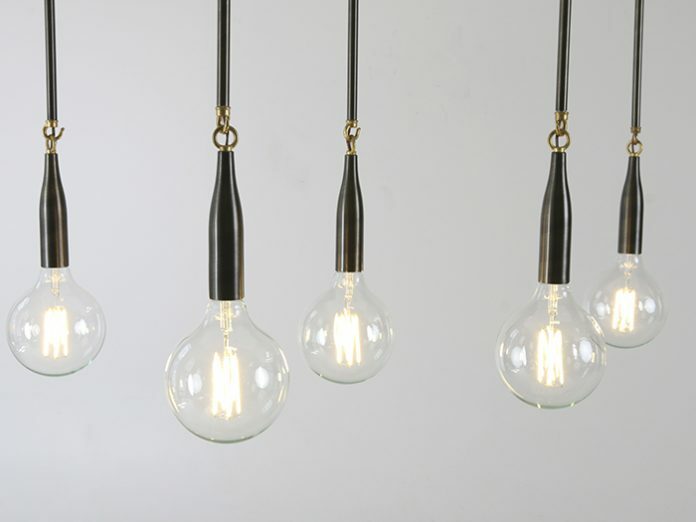 Custom colours and configurations are available and the overall height of the pendants can be adjusted.